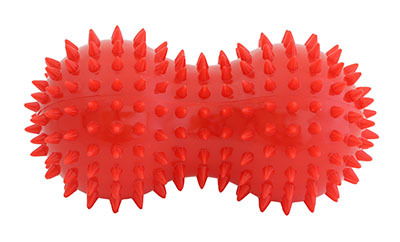 Dr. Cohen’s HEATABLE AcuBack Massage Roll was doctor designed and tested over 10 years of research. 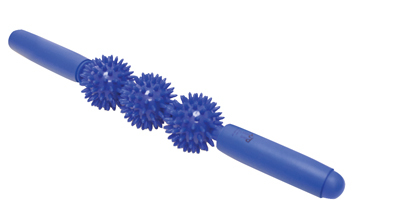 The AcuBack is a 100% natural muscle & joint release tool that’s miles ahead of the competition. It is also an incredible posture aid – simply place behind your back when sitting or driving for perfect upright posture with no effort – good bye slumping! It’s the ONLY MICROWAVE HEATABLE self-care tool on the market! Microwave for 90 seconds (or boil for 12 minutes) to create over 100 minutes of deep soothing heat. Why is heat so important? 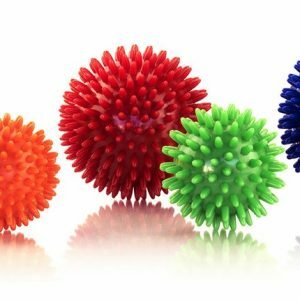 It stimulates blood flow to flush out built up wastes that accumulate in tight muscles, relaxes the nervous system for deeper healing and physically loosens tight muscle and connective tissue. The AcuBack also features a recessed groove running around the middle called the ‘Spine Align Belt’ which allows users to lie directly on their spine to loosen tight areas. 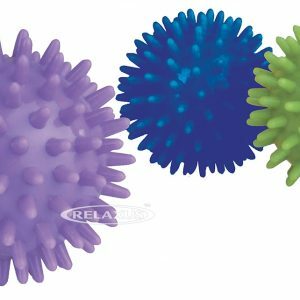 Great in bed or on a carpeted floor for releasing tight areas in the back, legs, shoulder blades and neck or use it standing to soothE tired aching feet. 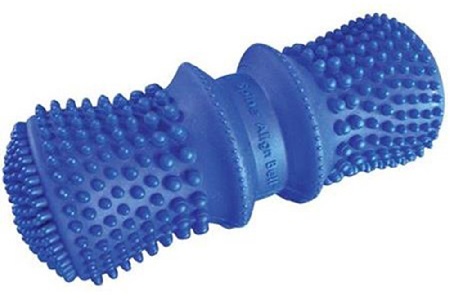 Makes your foam roller obsolete! Developed by Dr. Cohen – a leader in responsible self-healing. Used in over 1000 clinics and hospitals and by major sports teams in the NBA, NHL & MLB. Enhances the value of any professional care you receive making you need less treatment overall. Using your AcuBack is simple: our FREE ‘Click Where You Hurt’ APP & online training gives you all the information you need – simply click on the body part that’s bothering you and watch the video – it’s that easy!